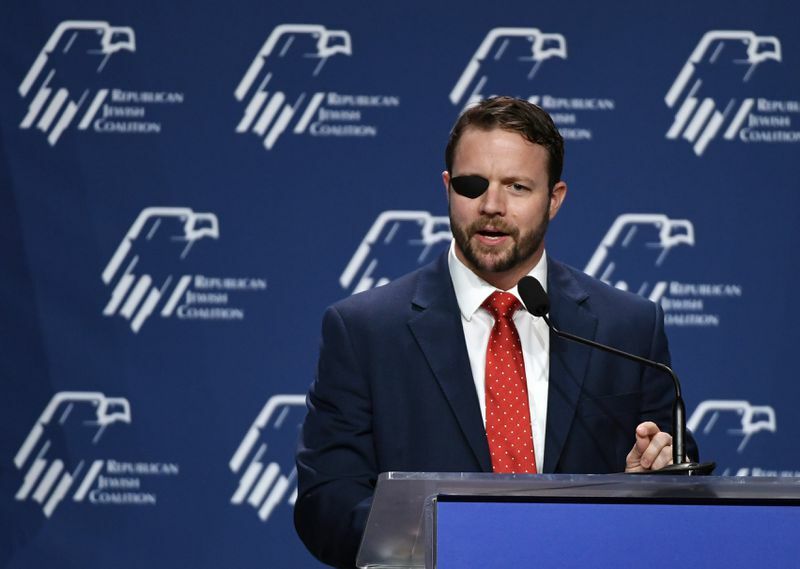 A retired FDNY firefighter who survived 9/11 said Thursday he was recently snubbed by Dan Crenshaw, the Texas congressman who’s drawing heat for accusing a Democratic lawmaker of downplaying the terror attack. Rob Serra, who’s wheelchair-bound and lost several colleagues on Sept. 11, 2001, told the Daily News he tried to introduce himself to Crenshaw while lobbying members of Congress about renewing the 9/11 Victim Compensation Fund during a visit to Capitol Hill on March 27. But the Republican lawmaker claimed he was “too busy” and said his office would reach out, according to Serra. Two weeks later, Serra hasn’t heard from Crenshaw, who has yet to throw his support behind renewing the VCF. The fund, which provides compensation to first responders and others harmed in the 9/11 attacks, has been forced to slash payouts in recent months because congressional Republicans such as Crenshaw have been reluctant to support its renewal. More than 81,404 Americans rely on VCF, 375 of whom hail from Crenshaw’s state, according to a status report filed by the fund in February. Serra, of Staten Island, said he was reminded of the brushoff from Crenshaw after the Texas Republican went after Rep. Ilhan Omar (D-Minn.) on Wednesday over her recent comments about 9/11. “First Member of Congress to ever describe terrorists who killed thousands of Americans on 9/11 as ‘some people who did something.' Unbelievable," Crenshaw tweeted. But Serra contended Crenshaw isn’t the right person to lob that rebuke, especially considering Omar is a co-sponsor of the VCF renewal bill. “I think it’s highly insensitive to describe what happened on 9/11 that way,” Serra said of Omar’s comments. “(Crenshaw) is the wrong person to be making that criticism, though. He’s certainly not showing his support." A spokesman for Crenshaw did not return a request for comment. Rep. Max Rose (D-N.Y.), who represents Serra’s district, urged Crenshaw to cut the anti-Omar talk and back the VCF bill in light of the former firefighter’s comments.